Note: Fits vehicles with 5x4.5", 5x5" and 5x5.5" lug patterns.. Note: The Trail Trekker does not fit new JL chassis Wranglers at this time. Please check back for updates as it is being worked on. Note: On stock TJ and YJ Wranglers, the tank will greatly limit the opening of the glass lift gate on vehicles equipped with a factory hardtop. When you go off road, could you use a extra gas? TITAN’s Trail Trekker tank for JK, TJ and YJ Wranglers gives you the extra gas capacity you need to go anywhere off the beaten path. The tank is made of TITAN’s famous Military Grade, Cross-Linked Polymer so you know it’s tough, durable and secure. The tank is fully grounded and vented with rollover protection. 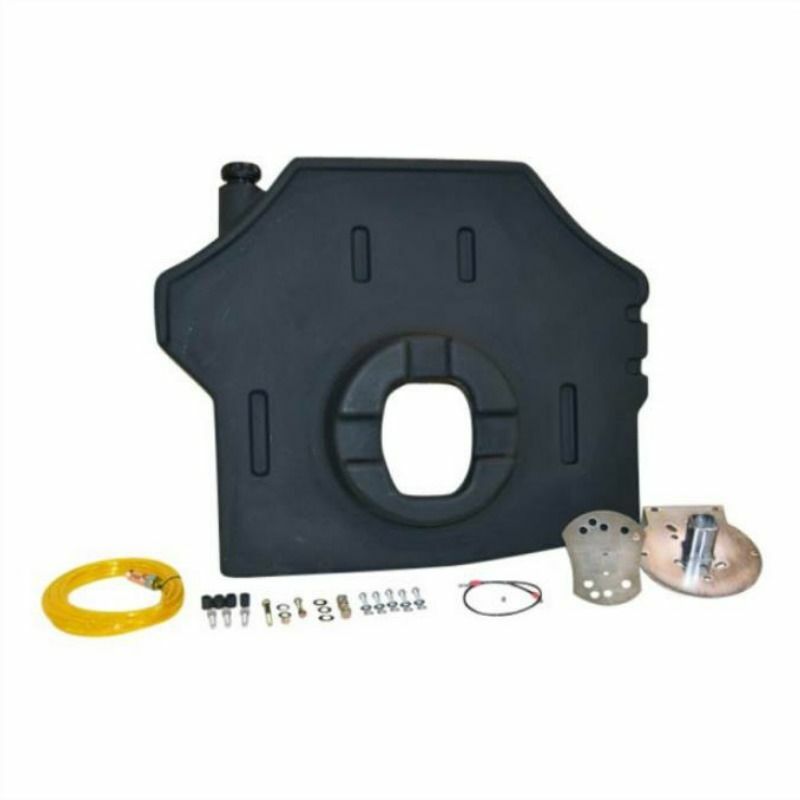 It fits stock spare tire carriers and most popular aftermarket tire carriers, and comes with all of the brackets, fasteners, and accessories for easy mounting on your Wrangler. The mounting position keeps the tank out of the way and makes transfer of fuel to the vehicle’s main tank a snap. The Trail Trekker will handle 15” and larger wheels, and tires up to 37”. Important:Tank is intended for temporary storage only. Full tank weighs approximately 100 lbs (45 kg). It is the user’s responsibility to ensure the mounting point on the vehicle is sufficient for the weight.